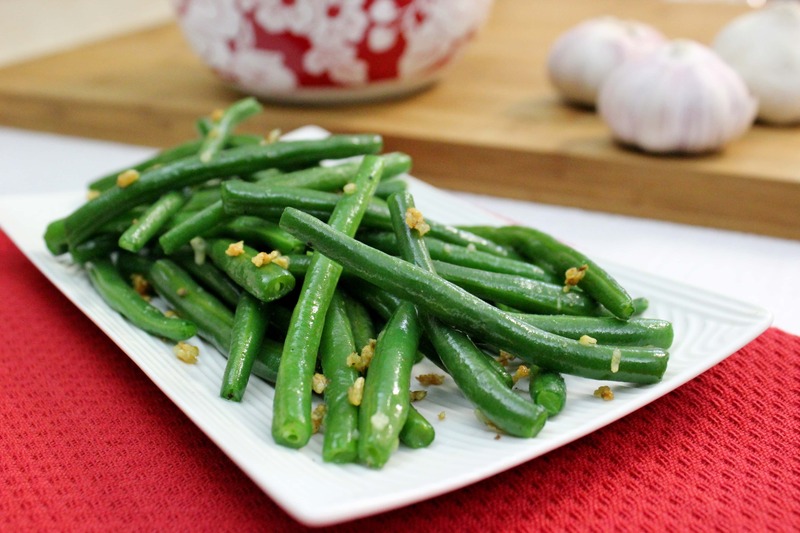 Green beans are one of my favorite side dishes. I prefer to enjoy them simply with olive oil, and a bit of garlic for flavor. 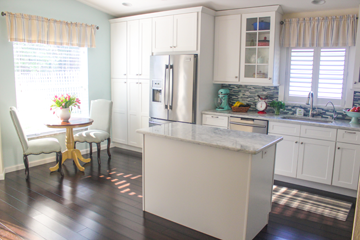 They complement many dishes excellently. 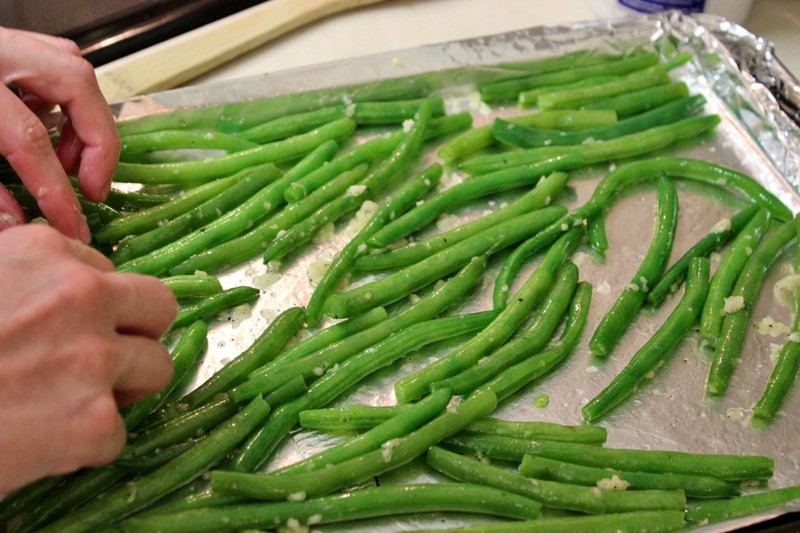 Another plus to green beans is how quickly you can prepare them. 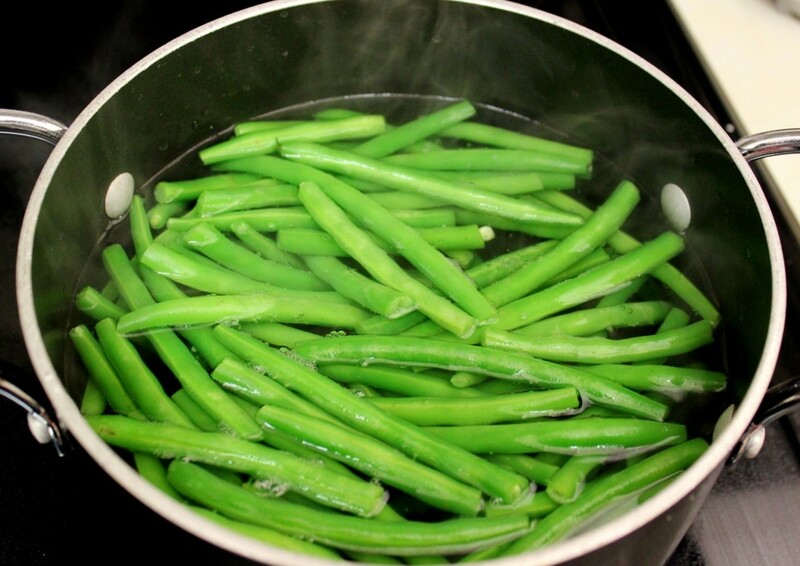 The secret to perfect green beans is partially cooking them first in boiling water. This makes the beans more tender, but still keeps their vibrant green color. You don’t have to cook beans very long, or they will become mushy. In a medium pot, boil some water and season heavily with salt. Add beans, cook for 3-5 min. 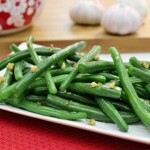 This brings out the bright green color and takes out the harsh bite to the beans but still keeps them crisp. Drain and pat dry on a towel. 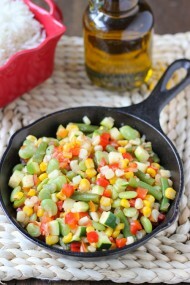 In a nonstick skillet add 1/2 – 1 Tablespoon olive oil, add 2-3 crushed garlic cloves and beans. Season with salt and pepper and cook for about 5 minutes. Discard the garlic. This is a trick I often use when I just want a suble hint of garlic in a dish. 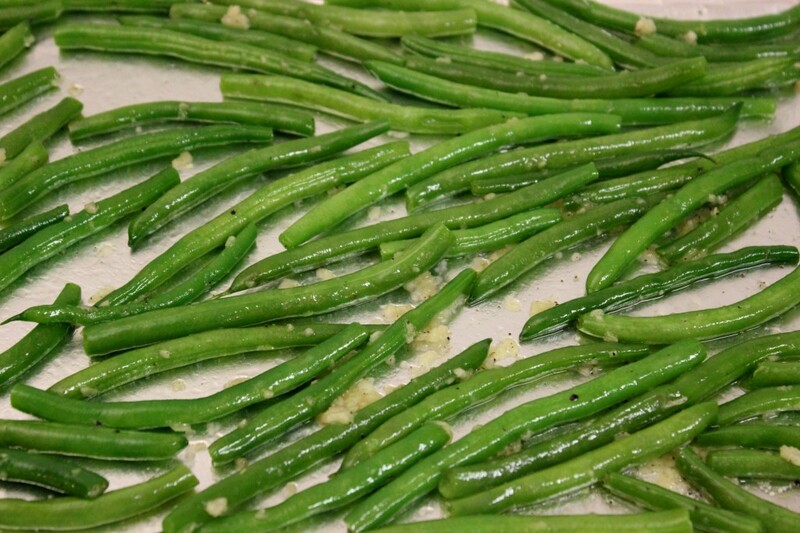 Roasting the green beans in the oven is another option. I really like this method since I can prep the green beans ahead of time, set aside and then put it in the oven and not have to babysit the skillet. Preheat oven to 450 degrees. Line a rimmed baking sheet with aluminum foil and toss the precooked beans with 1/2- 1 Tablespoon olive oil, 3 minced garlic cloves and season with salt and pepper. Roast in the oven until golden. In a medium pot, boil some water and season heavily with salt. Add beans, cook for 3-5 min. This brings out the bright green color and takes out the harsh bite to the beans but still keeps them crisp. Drain and pat dry on a towel. 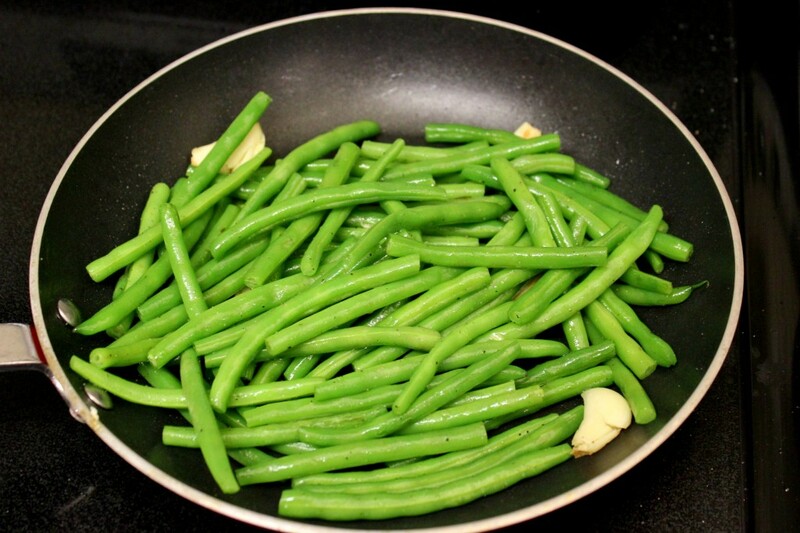 In a nonstick skillet add 1/2 – 1 Tablespoon olive oil, 2-3 crushed garlic cloves and beans. Season with salt and pepper and cook for about 5 minutes. Toss the precooked beans with 1/2- 1 Tablespoon olive oil, 3 minced garlic cloves and season with salt and pepper. I did grean beans in the oven, never precooked them tho, but this looks like a good couple of ideas here. These were fantastic!! And I don’t even like green beans… I topped them off with some mushrooms which made the dish extra delicious! Now that’s a real compliment! Thanks so much for letting me know. I really loving hearing some feedback. The mushrooms sound like a delicious addition. I’ll have to try it sometime. Would it be okay to cook in vegtable oil instead of olive oil. I dont like the taste of olive oil. You sure can, Olga! Half the time I make it with canola oil, since that’s the one I use and have all the time. 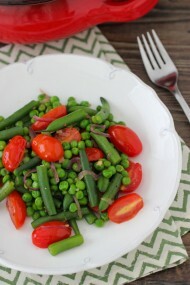 Can I use frozen string beans? 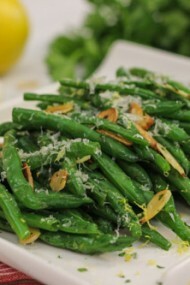 You can, Vera, but they will be a much different texture than if you use fresh green beans. 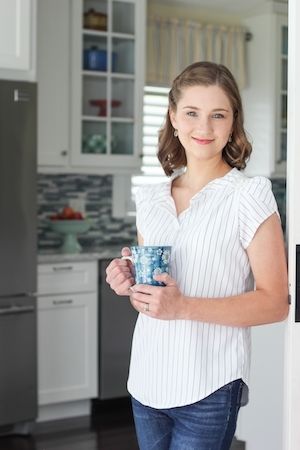 Frozen green beans will be a lot softer. I’m so happy to hear that, Tzivia. 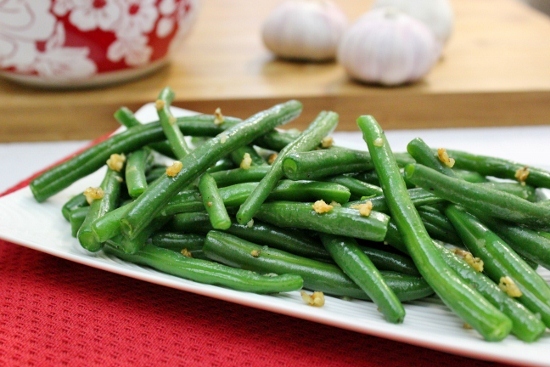 We love green beans too.